Office Door Repair Service Your office door is the first thing people see when they arrive at your business. You went to great lengths to choose its style and you also put lots of thought into the impression that it makes. You may have even added your corporate logo to it or added a sign on it that welcomes visitors, employees, and vendors. The office door says a lot about your company and you probably put a lot of effort into addressing the door’s capability for offering security for your office space and everyone in it. What do you do when there is an issue with the door or the locks? You need to call on expert locksmiths in your area like us. We offer great prices on and we can provide quality office door repairs anytime you need them. Security is the biggest concern for any type of office door. However, when you have a new door installed there are many things to think about including the material you choose. Company doors are made of many types of synthetic and natural materials. We can handle installing locks and security systems for any type of door so that your office is provided with the greatest level of security possible. Some companies have wood doors and others have glass door systems. There are also some businesses that have metal gates securing these doors at night. These are effective at protecting merchandise, furnishings, computer equipment and everything else stored inside. When you choose a locksmith to help you secure your office, you need to choose a company that has experience in securing office doors of any material and any type. If your business has a combination of doors such as glass systems and metal grills, you cannot call on a different company whenever either type of door needs a repair. You need to work with one reputable local company to handle all your office door security issues. Whether your doors are brand new or have been around for years, you must address any office door repair service issues immediately. 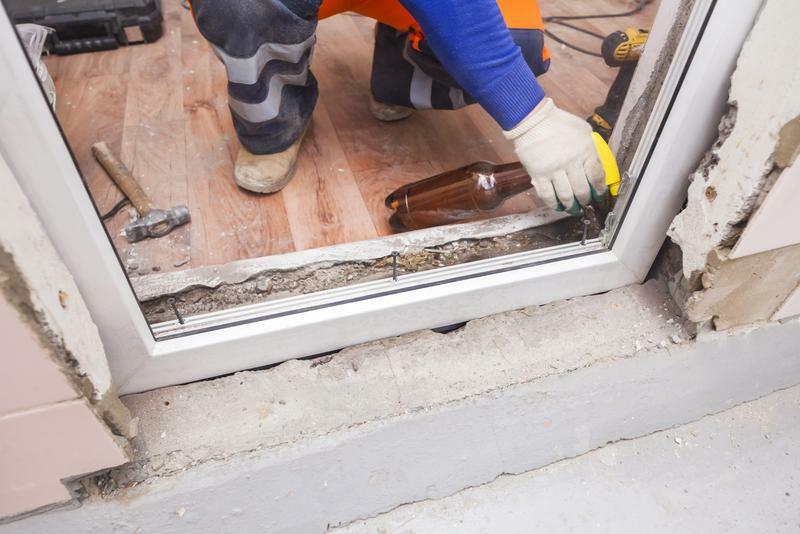 As soon as there is a problem getting a door to close correctly, you need to call on a reliable company to come and fix it. An office door can never be left unlocked because the lock is broken or stuck. Sometimes a broken lock becomes a hassle and, during the workday, employees handle the matter by keeping the door propped open. They assume that someone will always be available to keep an eye on it and so, instead of calling for a repair service right away, they work around the broken lock issue. Unfortunately, propping a door open to work around a stuck lock only compromises security. The issue has to be corrected immediately. The problem can be fixed fast when a quality office door repair service is available. We are that company. We can come to your business any time of day or night. We offer 24-hour service for your protection. The moment you have an issue closing the door properly or you have a lock that is sticking and makes it hard to close the door, call us. We have the tools and skills to repair any type of lock on any type of commercial or office door. If you have any questions or just want to know how much a repair will cost, do not hesitate to contact us. If your alarm or security system is giving you trouble, give us a call. You can count on us to offer you help with any security issue you are having. There are many office door locksmiths in the area. How do you know which one to call? That can seem like a difficult task especially because there are so many locksmith listings online. We suggest that you start by getting a referral for good office door locksmiths from colleagues or fellow business owners in your area. Give them a call and find out more about their services and prices. Then give us a call. We want to build a relationship with you. You need to be able to count on your company locksmith so that your doors are always working properly and are keeping everyone and everything secure. We know that you also have a security system in place for your business. But, it is the door that lets people in before anything can be compromised. You need a team of locksmiths that can deliver quality repairs to make sure the door is always secured and that the locks are always working properly. Let that team of experts be us. We offer comparable and fair prices. We invite you to have us come to you to provide you with a quote before we do the repairs. Compare our prices with other local companies and you will see why we are the best company to call for any of your office door needs. We can assist you in choosing and installing a new security system with day and night cameras, wireless cameras, night-vision cameras and more. Contact us to change out your locks anytime you wish. We can install deadbolt locks, cylinder locks and more. We work hard to provide the best prices along with quality services and repairs. We know your business depends on high-quality security, and we want to be the company you count on now and for many years to come. 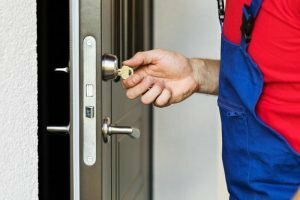 See why many of our customers have great things to say about Highgate Security and Locksmith NY. Their referrals and praise have helped our company to grow quite a bit in recent times. They have great relationships with us, and so should you. We invite you to contact us with any questions or problems you may have. We will work with you to find the right solutions for your office security, and we will always be here for you when your office door needs a repair.